CHEST Immersion Open Forum COPD is organized by American College of Chest Physicians (ACCP) and will be held on Apr 23, 2019 at CHEST Global Headquarters, Glenview, Illinois, United States of America. 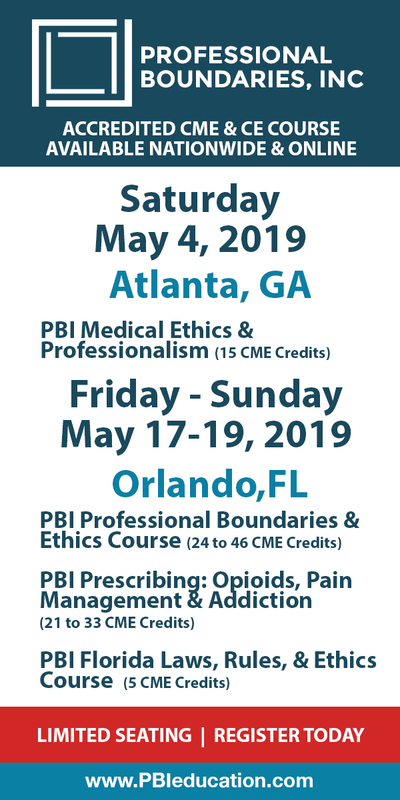 Description: Engage directly with top clinicians, learn though a variety of case-based presentations, put your knowledge to the test during problem-based learning sessions and more with this new, interactive program. • Ideal for industry professionals looking for in-depth disease state insights • Presented by expert CHEST multidisciplinary faculty Topics include: • Definitions, pathophysiology, epidemiology, differential diagnosis, and more • Strategies for diagnosis of COPD • COPD staging and assessment based on the most up to date guidelines • Identification of patients at risk for exacerbations of COPD • Effective treatment strategies for acute exacerbations of COPD • Exacerbation prevention management • Nonpharmacological treatment and preventative strategies for COPD • Living with COPD (patient interviews) • COPD readmissions and the cost of care: Healthcare systems, payer and provider perspectives Additional details will be posted as soon as they are available. CHEST Immersion Open Forum Non-Small Cell Lung Cancer is organized by American College of Chest Physicians (ACCP) and will be held on May 14, 2019 at CHEST Global Headquarters, Glenview, Illinois, United States of America. Engage directly with top clinicians, step into a real ICU suite, interact with state-of-the-art medical technology, and more with this new, interactive program. • Ideal for industry professionals looking for in-depth disease state insights • Presented by expert CHEST multidisciplinary faculty • Courses to be held at our state-of-the art simulation center in Glenview, IL Topics include: • NSCLC screening and staging • Role of diagnostic testing • Identify current biomarkers utilized to categorize molecular and histologic features of NSCLC • Explain mechanisms of immunotherapies that have been studied for NSCLC • Multidisciplinary treatment decisions • Role of targeted treatment and immunotherapy and more Additional details will be posted as soon as they are available. Advanced Critical Care Echocardiography is organized by American College of Chest Physicians (ACCP) and will be held from May 30 - Jun 01, 2019 at American College-Chest Physicians, Glenview, Illinois, United States of America. Target Audience: Intensivists, critical care and emergency medicine physicians, pulmonary and critical care fellows, and advanced practice providers are encouraged to attend. Candidates for the NBE ACCE certification will be particularly interested in this unique CHEST course offering. Accreditation: Physician Credit: CHEST designates this live activity for a maximum of 22.5 AMA PRA Category 1 Credits™. Physicians should claim only the credit commensurate with the extent of their participation in the activity. ABIM MOC Statement Successful completion of this CME activity enables the participant to earn up to 22.5 MOC points in the American Board of Internal Medicine’s (ABIM) Maintenance of Certification (MOC) program. Nursing Credit Provider approved by the California Board of Registered Nursing, Provider Number 16433, for 22.5 contact hours. Description: This course is designed to meet the needs of all critical care clinicians who are interested in ACCE; and, in particular, for those who are candidates for Certification in Advanced Critical Care Echocardiography,now offered by the National Board of Echocardiography (NBE) in cooperation with the National Board of Medical Examiners and the Professional Societies.This course will focus on image acquisition and image interpretation,which are required competences to achieve NBE certification. CHEST also offers a separate review course in preparation for the NBE certification examination in December 2019. Work with expert-level faculty to gain interactive image interpretation skills through the review of a broad spectrum of findings of advanced critical care echocardiography (ACCE), with emphasis on frontline utility of ACCE for the diagnosis and management of cardiopulmonary failure. Learn to integrate findings of ACCE into clinical operations by using: • Doppler physics • Measurement of stroke volume/cardiac output (SV/CO) • Detailed assessment of LV and RV function • Measurement of filling pressures and diastolic function • Evaluation of valve function • Determination of preload sensitivity • Measurement of intracardiac pressures • Identification of adverse heart-lung interactions Prerequisites This course is designed for intensivists who are fully proficient in basic critical care echocardiography and are strongly committed to precourse cognitive preparation. Didactic lectures will not be presented. Instead, attendees will be expected to engage in a serious study of the pre-course material provided, as this course is designed for those who have completed the recommended reading. Prior to attending, you will receive materials that form the cognitive base of the course. We anticipate thatyou will be thoroughly familiar with the content prior to starting the course in order to reduce the need for lectures, so the focus can be on hands-on, interactive training. Difficult Airway Management is organized by American College of Chest Physicians (ACCP) and will be held from Jun 06 - 08, 2019 at CHEST Global Headquarters, Glenview, Illinois, United States of America. The target audience for this medical event is for respiratory therapists, advanced practice providers, physicians, and other health-care professionals with an interest in critical care or emergency medicine are encouraged to attend. This CME Conference has been approved for a maximum of 20.75 CME credits and MOC points. Objectives: Attend this state-of-the-art, systematic overview and hands-on experience offering the preparation, teamwork, and tools necessary to manage complex critical care airway situations. • Identify exam findings associated with a difficult airway, practice the essential skills of intubation, and learn to use innovative new advanced airway tools to manage difficult airways. • Gain hands-on experience with a multitude of videolaryngoscopes, bougies, and other intubating devices proven to increase first-pass intubation success. • Utilize extraglottic airways to reestablish ventilation if intubation is not successful. • Recognize when and how to use cricothyrotomy for failed airways. • Work with a team using crew resource management concepts to solve airway problems in a high-fidelity, fast-paced, simulated clinical environment using scenarios developed from real-life cases. Prerequisites: Prior to attending, you will receive materials that form the cognitive base of the course. You are expected to become familiar with the content prior to the course start in order to reduce the need for lectures, so the focus can be on hands-on, interactive training. 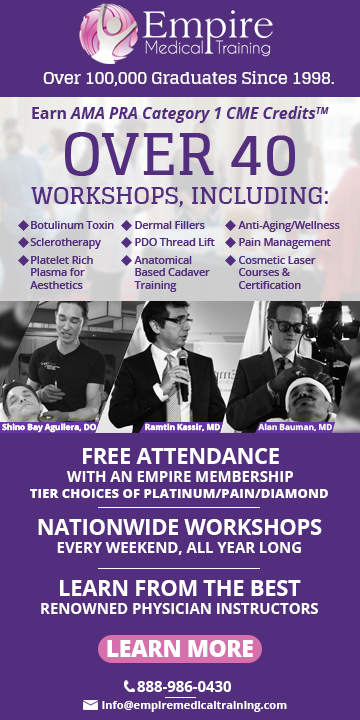 Note: Nonphysician providers and physicians-in-training receive a $700 discount. Advanced Diagnostic and Therapeutic Bronchoscopy is organized by American College of Chest Physicians (ACCP) and will be held from Jun 28 - 29, 2019 at CHEST Global Headquarters, Glenview, Illinois, United States of America. This CME Conference has been approved for a maximum of 14.25 AMA PRA Category 1 Credits™ Get an intensive review of therapeutic and advanced diagnostic bronchoscopic techniques in this 2-day interactive, hands-on opportunity. Designed around the flipped classroom model, this course will include interactive case-based discussions and hands-on sessions,while procedural skills assessments will be used to track knowledge gain and retention.Topics include malignant and benign airway obstruction, rigid intubation, pulmonary node diagnosis and therapeutic strategies, and more. Additional details will be posted as soon as they are available. Bronchoscopy and Pleural Procedures for Pulmonary and Critical Care Medicine Fellows is organized by American College of Chest Physicians (ACCP) and will be held from Jul 19 - 20, 2019 at CHEST Global Headquarters, Glenview, Illinois, United States of America. The target audience for this medical event is for Pulmonary and critical care medicine fellows are encouraged to attend. This CME Conference has been approved for a maximum of 7.25 CME credits and MOC points. Fellows will acquire essential diagnostic bronchoscopy and pleural technique training in several topics, including: • Airway anatomy • Biopsy • Brushings • Ultrasound-guided thoracentesis • Small bore chest tube placement Attend to experience: • Cognitive and skills testing on issues essential to conventional bronchoscopy, and pleural procedures. Pre-and post-course cognitive knowledge testing and testing of procedural skills during breakout sessions offer a personalized, learner-centric approach to teaching. • Case-based, interactive session to encourage honest, individual responses. Group responses will allow faculty to focus on both group and individual learning needs. Only interactive lectures are used in this course as they lead to better retention, better knowledge gain, and learner satisfaction. Prerequisites: Prior to attending, you will receive materials that form the cognitive base of the course. You are expected to become familiar with the content prior to the course start in order to reduce the need for lectures, so the focus can be on hands-on, interactive training Additional details will be posted as soon as they are available. Mechanical Ventilation: Advanced Critical Care Management is organized by American College of Chest Physicians (ACCP) and will be held from Jul 25 - 27, 2019 at CHEST Global Headquarters, Glenview, Illinois, United States of America. The target audience for this medical event is for Pulmonary and critical care fellows, physicians, intensivists, advanced practice providers, and respiratory therapists are encouraged to attend. This CME Conference has been approved for a maximum of 18.75 CME credits and MOC points. Description: Acquire extensive knowledge in advanced techniques and skills for mechanical ventilation in the critically ill patient-including the latest advances in ventilator technology-through lectures, interactive discussion, hands-on small group workshops, and case-based exercises. This comprehensive, interactive program emphasizes practical solutions for issues related to patients in respiratory failure. Course Topics include: • Ventilator modes • Ventilator-induced lung injury • Management of obstructive and parenchymal lung disease • Management of hypoxemia • Patient-ventilator synchrony • Noninvasive ventilation Prerequisites: Prior to attending, you will receive materials that form the cognitive base of the course. You are expected to become familiar with the content prior to the course start in order to reduce the need for lectures, so the focus can be on hands-on, interactive training. Note: Nonphysician providers and physicians-in-training receive a $700 discount. Cardiopulmonary Exercise Testing (CPET) is organized by American College of Chest Physicians (ACCP) and will be held from Aug 08 - 10, 2019 at CHEST Global Headquarters, Glenview, Illinois, United States of America. The target audience for this medical event is for Pulmonary physicians; pulmonary function testing and cardiology laboratory directors; advanced practice providers; family medicine, critical care, and pulmonary rehabilitation providers; pulmonary fellows; internists; hospitalists; exercise physiologists; CPET laboratory medical directors; and cardiologists are encouraged to attend. This CME Conference has been approved for a maximum of 20.50 CME credits and MOC points. Description: Join prominent national and international exercise experts as they discuss high-level interpretive strategies you can use to better support your exercise laboratory, as well as exercise training program design, exercise testing evidence-based data, exercise prescriptions, rehabilitation, sports medicine, cardiopulmonary exercise testing (CPET) guidelines, and current controversies in CPET. Gain practical experience with: • Necessary technical aspects of the CPET equipment • The skills required for performing CPET, including calibration, maneuvers, testing, and biologic controls • Data interpretation, including report creation and how to make informed CPET study recommendations Prerequisites Prior to attending, you will receive materials that form the cognitive base of the course. You are expected to become familiar with the content prior to the course start in order to reduce the need for lectures, so the focus can be on hands-on, interactive training. Difficult Airway Management is organized by American College of Chest Physicians (ACCP) and will be held from Sep 05 - 07, 2019 at CHEST Global Headquarters, Glenview, Illinois, United States of America. Target Audience: This course is for Respiratory therapists, advanced practice providers, physicians, and other health-care professionals with an interest in critical care or emergency medicine are encouraged to attend. Accreditation: Physician Credit CHEST designates this live activity for a maximum of 20.75 AMA PRA Category 1 Credits™. Physicians should claim only the credit commensurate with the extent of their participation in the activity. ABIM MOC Statement Successful completion of this CME activity enables the participant to earn up to 20.75 MOC points in the American Board of Internal Medicine’s (ABIM) Maintenance of Certification (MOC) program. Nursing Credit Provider approved by the California Board of Registered Nursing, Provider Number 16433, for 20.75 contact hours. Objectives: Attend this state-of-the-art, systematic overview and hands-on experience offering the preparation, teamwork, and tools necessary to manage complex critical care airway situations. • Identify exam findings associated with a difficult airway, practice the essential skills of intubation, and learn to use innovative new advanced airway tools to manage difficult airways. • Gain hands-on experience with a multitude of videolaryngoscopes, bougies, and other intubating devices proven to increase first-pass intubation success. • Utilize extraglottic airways to reestablish ventilation if intubation is not successful. • Recognize when and how to use cricothyrotomy for failed airways. • Work with a team using crew resource management concepts to solve airway problems in a high-fidelity, fast-paced, simulated clinical environment using scenarios developed from real-life cases. Prerequisites: Prior to attending, you will receive materials that form the cognitive base of the course. You are expected to become familiar with the content prior to the course start in order to reduce the need for lectures, so the focus can be on hands-on, interactive training. Nonphysician providers and physicians-in-training receive a $700 discount.